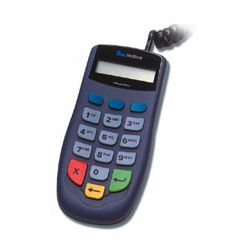 Dimensions: 1.46" x 2.68" x 5.9"
The 1000SE Verifone Pin Pad is a Plug 'n Play peripheral device. No configuration is required. Once the device is installed, configure your Workstation Settings, and the device will be ready to use.